Eternal Orthodox Church calendar for the 28.11 year 2017. Gurias and Samonas were eminent citizens of Edessa. At the time of a persecution of Christians, they hid outside the city and lived in fasting and prayer, giving courage to the faithful who came to them for counsel. They were seized and taken before the judge, who threatened them with death if they refused to observe the imperial decree on the worship of idols. Christ"s holy martyrs replied: "If we observe the imperial decree, we shall be lost even if you do not kill us." They were thrown into prison after harsh torture, and were there confined from August 1st to November 10th, enduring hunger, darkness and great hardship. They were then brought out again and tortured afresh, and, as they remained steadfast in the Christian faith, were condemned to death and beheaded with the sword in the year 322, under the wicked Emperor Licinius (who ruled the eastern half of the Empire until 324). Later Abibus, a deacon in Edessa, was tortured for Christ his Lord and, in the flames, gave his spirit into God"s hands. His mother took his unharmed body from the fire and buried it together with those of Gurias and Samonas. 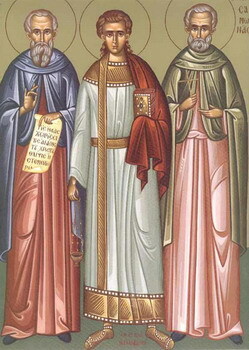 When the persecution had ended, Christians built a church in honour of these three martyrs, and placed their wonderworking relics in one coffin. 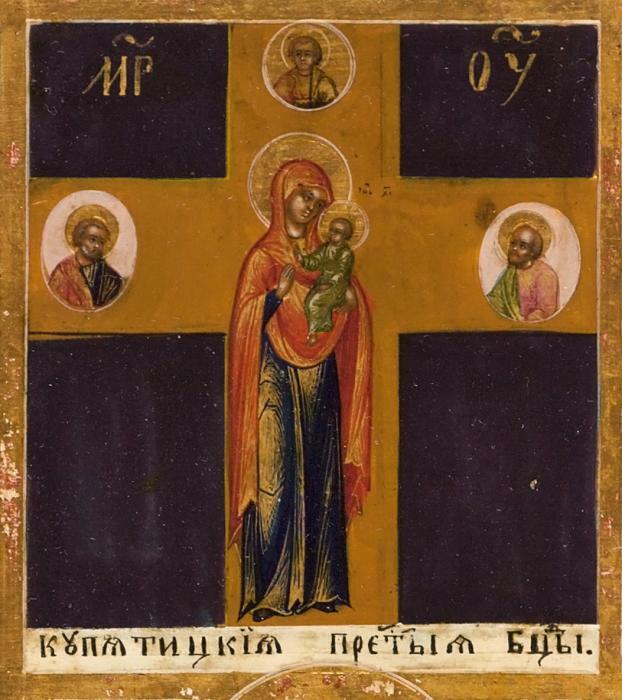 Of the manifold miracles of these wonderful saints of God, one is specially remembered: A widow in Edessa had a young daughter, who was to marry a Goth serving in the Greek army. As the mother was concerned at the thought of sending her daughter to a distant land, the Goth swore over the grave of the martyrs that he would do no ill to the girl, but take her as his legal wife. He was, though, in fact, already married. When he took the girl back to his own land, he treated her, not as his wife, but as a slave, until his lawful wife died. He then agreed with his kinsman that he should bury his living slave along with his dead wife. The slave implored the holy martyrs with tears to save her, and they appeared to her in the grave, took hold of her and, in an instant, carried her from the land of the Goths to Edessa, to their church. On the following day, when the church was opened, the girl was found by the tomb of the saints, and the story of her miraculous deliverance was heard. Martyr Demetrius, born a Slav, in the village of Doad, in Thrace, was beheaded for his fervent confession of Christ, in about 307, during the reign of the Emperor Maximian.